As history tells us from 1962 to 1993, Eritrea was ruled as a province of Ethiopia, and the two nations amicably separated after a vote in 1993. But, during 1998, War between Ethiopia and Eritrea erupted over the town of Badme, which both sides used to claim as their own until Ethiopia and Eritrea Boundary Commission (EEBC) gave its final and binding decision on April 13, 2002 . According to EEBC, Badme was rewarded to Eritrea. Ethiopia had not fully accepted the decision, but it used to say accepted in principle and insisted on dialogue before implementation. However, on June 5, 2018, Ethiopia publicly announced that it has accepted the Algiers Peace Agreement without any preconditions and expressed its readiness to implement it. This is called new era of tearing the wall of hostilities between the two brotherly peoples who have been trapped in deadly sin situations because of the no peace no war policy applied two decades ago by the leaders of the states for proxy wars reasons. This was irresponsible decisions since it has weakened and dwarfed the livelihood of the two innocent peoples, stubbornness of the two leaderships contributed domestic and external peace crisis irritating the international community and most bitterly the border living citizens of both countries. Such surprise announcement was made by the ruling coalition, EPRDF executive committee. Recognizing the deal is a huge step forward in bringing about a peaceful conclusion to the political fight that has rattled on for decades. Rightly, days after Ethiopia’s announcement, Eritrea’s President Isaias Afwerki noted the “positive signals” and announced he would send a delegation to “gauge current developments directly and in depth” and plan future steps. Ethiopian Prime Minister Abiy Ahmed is seeking to normalize relations with neighboring Eritrea as part of a broader program of reforms he’s initiated since taking office two months ago. He has also announced plans to open up the Africa’s fastest-growing economy to foreign investors and also lifted a state of emergency imposed after the snap resignation of his predecessor, Hailemariam Desalegn, in February. “The new developments in Ethiopia promise well for the resolution of the frozen boundary conflict and durable peace between Eritrea and Ethiopia,” Andebrhan Welde Giorgis, a former member of Eritrea’s ruling People’s Front for Democracy and Justice and now an independent analyst, said by phone from Brussels. “At the same time, the winds of change blowing in Ethiopia could also cross over and usher in a new democratic dispensation in Eritrea.” Officials including Yemane Ghebreab, an adviser to Eritrean President Isaias Afwerki, and Foreign Minister Osman Saleh, arrived in the Ethiopian capital, Addis Ababa, on Tuesday afternoon, Shamble Tillahun, a spokesman for the Ethiopian government communications office, said by phone from the city. Images published by the Fana Broadcasting Corp. showed the officials holding talks with Abiy. The Eritrean delegation, led by Mr Saleh, was welcomed by Mr Abiy in the capital Addis Ababa, where a red carpet was rolled out and the visitors were offered garlands of flowers. “We have tried war and found it useless,” Prime Minister Abiy Ahmed told a dinner reception at the National Palace for Eritrea’s foreign minister and others, after a day that began with draping the visitors on arrival at the Addis Ababa airport with strings of flowers. The two countries have not had diplomatic relations since a border war broke out in 1998. “We want our brothers and sisters to come here and visit us as soon as possible,” Abiy added, saying the two countries will celebrate the upcoming Sept. 11 new year together and that Ethiopian Airlines “soon” will start flights to Eritrea’s port city of Massawa. “This is the time for reconciliation and love,” the prime minister said. Now, both leaders are expected to make the peace happen soon. The continuing crisis in both countries and concerned citizens alarmed by regional developments adjacent to the Red Sea, the destruction of Yemen and the prospects of escalating crisis and the fears of state failure, now is an important time to crystallize the best analysis on the crisis between Ethiopia and Eritrea and strategize on the most appropriate approaches towards peace, normalization and regional peace and stability. The situation demands thorough analysis of both thematic and country specific issues focused on a regional conception and coherent effort. To what extent can an interaction and a discussion and agreement among the elite and opinion makers of and non-governmental stakeholders of both countries help to establish a consensus on core values and shared interests which in turn serve as a foundation for a new era of cooperation? The irritating behaviors of the two leaders have been potential obstacles for the region’s economic and social integration, security and peace orders in the last 20 years. The Horn of Africa has two failed states, South Sudan and Somalia where heartbreaking human and economic crisis has been frustrated the whole Africa. The rest member states are also weak to socioeconomic progress due to the potential instability and all rounded crisis being practiced in the mainly failed states. Expectedly, if Ethiopia and Eritrea become another failed states, the whole region would have been totally devastating, where terrorism, human trafficking and drugs could play shocking roles in parts of the world. 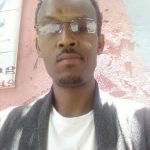 Measured from these points of views, the peace deal between Ethiopia and Eritrea is something promising which can significantly stabilize the security and peace order, the mutual socioeconomic development of the whole region. The whole world, mainly the continent will benefit a lot from this peace deal too. As the leading scholar of the region, Professor Medhane Taddesse usually advises ways of making peaceful coexistence, I hope his deep analysis and best solutions for this region will be taken into considerations while the two leaders negotiate on the issue. Durable peace solutions should be the ultimate result of the two leaders meetings. Hence, the UN, AU, IGAD should be recommended highly to make the peace deal happen quickly so that we peace thirsty of the Horn of Africa should be able to breathe peaceful air. Rightly, PM Abiy will be placed in the record of book as a leader of peace if he really can implement the peace deal in a way that can benefit the two peoples objectively. However, if the PM is doing it for political consumption and other conspiracies, he should know it will be self defeat and historically black list in the minds of his own peoples. Hence, the ongoing peace deal should be based on the will and interests of the two peoples who are suffering by the stalemates not solely by the two leaders only. People based reconciliation has the natural power of being maintained than political leaders reconciliation which can be short-lived peace situation.